How many essays will I have to write? Usually it’s one a week (eight a term), but this can vary as some weeks you may have to prepare a presentation, or answer a set of questions instead/as well as a short essay. Is the work load ok and will I have time to pursue extra-curricular activities? As you have seen from all the pictures on this site, Keble students find plenty of time to balance their work with many activities and a lively social life. The work load may be heavy at times but if you organise your time well then there is always time for other things. In the final year, the work for Geographers, and other subjects, increases but this is manageable and just means you may spend extra time around Oxford during the long vacations. Can I get a part-time job in term time? It is generally advised that you should not attempt to fit in a part-time job in Oxford. Terms are too short and busy! If you want to find time for a job, you will probably have to sacrifice other things. Academic work, other interests, and a social life will leave very little free time for much else during an Oxford 8 (9 including the starting out) week term. What is ‘sub fusc’ and when do you wear it? Sub-fusc is the traditional clothing Oxford students wear for special, formal occasions – like your matriculation when you first arrive and all university examinations. For guys, it is a suit/black tie and for girls, black skirt/trousers and a white blouse/shirt with a black ribbon tied around the neck. With this you wear your undergraduate gown and carry the cap! When will I have to take exams? Geographers have ‘prelims’ exams at the end of the summer term of 1st year. You must pass these to continue into the Final Honours School of 2nd/3rd years. Failing these is very rare, and extremely unlikely if you have worked consistently through the year. You will then have your final set of public exams in the summer term of 3rd year. Your marks from these, along with your dissertation & submitted work, will determine your final degree class. Geography finals are in 5th/6th week of summer term, meaning there are a couple of weeks after to relax and celebrate. Some other subjects may not finish until the very end of term! Throughout the years, college tutors may set college examinations at the start of new terms. These are taken by all subjects at various times and are set to monitor your progress on the course covered and provide you with exam practice. They do no count towards your final mark. Though some students may begrudge taking them, people are generally thankful come the run up to finals! What is different about the Geography course at Oxford? The course at Oxford allows you to continue both physical and human aspects of Geography throughout the three years if you so choose. Alongside this there are opportunities to specialise in the areas that interest you most through three elected option papers and two (from three) foundation courses, as well as a dissertation. For further info about the course and its opportunities see the course. I’ve heard Oxford is an expensive place to live and am worried I will struggle. Are there any means to help those in financial hardship? Terms are really short, so your student loan only need cover 8/9 week terms as opposed to a typical 11 week term of other universities. 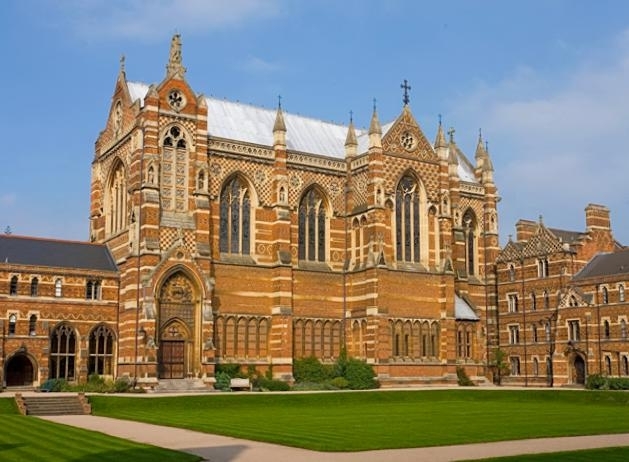 Keble offers college accommodation for the first two years, and likely for third year too- meaning less money spent on bills and availability of hall food. Keble is committed to equal access, and offers various means of support for those in financial hardship through grants and scholarships. See Keble College website for further information. Why should I apply to Keble? Keble is a big college, with a large Geography intake – meaning more applicant places, more of a Geography community, more resources available, and lots to get involved with in college. Accommodation and facilities are good, location for Geography students could not be better, and the people in Keble are a sociable, active, down-to-earth, diverse bunch! If you need evidence of these reasons then take a browse around this site, starting with Why Choose Keble? Can I come to visit Keble? You can come and see Keble any time, but during the week in term-time is best as that is when students are around and you can get a feel for the place. College holds annual Open Days in June and September. If you have missed those, then you can arrange to come in and get a tour of the college or speak to a tutor by emailing college.office@keble.ox.ac.uk. 15th October – the same for all of Oxford, regardless of your college preference. I am not predicted A*AA for my A-levels (or equivalent), can I still apply? Only candidates who are expected to attain A*AA are invited for interviews. If you are not predicted these grades then we advise you to wait until you have done your A-levels, then, if you get the grades, to apply afterwards in the following year. How much do my GCSE grades & AS-Levels matter? GCSE grades are important as they are the last full set of exams that applicants have taken. However, they are just one element of what tutors will look at to consider whether an applicant deserves a place. Your GCSE grades will be considered alongside interview performance, submitted work, and the UCAS form. Your AS grades do not form part of the assessment, since different subjects and schools are often at different stages of their completion at the time of application. I have not followed the UK examinations system, can I still apply? Definitely. Anyone can apply, regardless of what educational background you may have and we strive to get high quality applicants from around the world. The tutors will look for academic achievement in what would be the equivalent of the UK examinations. If you have further queries please contact the Oxford University Admissions Service. I have never done an interview before, and my school doesn’t really give much practice for them. How should I prepare? Most applicants will have had little or no experience in formal interviews. For more advice on preparation, the application process, and to view a mock interview podcast please see the Applying page. I’ve heard Oxford tutors ask really random, wacky things at interviews to see how people cope on the spot with the unexpected! Is this true? The interviews are not meant to catch you out or scare you, and for Geography at Keble the above is not true! For more information please see the Applying page. I want to take a gap year but will this mean I have less chance of being offered a place? Applying for deferred entry will make it harder since you are competing against an unseen field of applicants, and therefore must also prove yourself to be worthy of a place against any potential applicants of the following year. That said, deferred entry offers are made nearly every year so they are not unattainable, and usually one/two out of eight places will have been deferred entry offers. Tutors will probably ask you whether you would accept a place for this year rather than the following, if it were offered to you, so have a think about this before coming for interview. Alternatively, you can apply during your gap year for a place, at which point you are not at any disadvantage. What should I wear for my interviews? You should wear what you feel comfortable in. Keble Geography tutors are quite relaxed about your interview attire since it is not what matters. I’m not sure I’m cut out for Oxford or will fit in, I don’t know anyone who has gone before. So many people feel that they are not the ‘Oxford type’ before they apply, that they will struggle, or won’t fit in with the people here. The truth is there isn’t really an ‘Oxford type’, and you won’t know how you’ll find being at any university until you are actually there! Given that most people here didn’t expect to get in and many of the myths about Oxford are really just myths, you have nothing to lose coming for an interview and seeing what comes of it! If you are someone who likes a challenge, enjoys a busy life and being pushed to achieve the best you can, then the likelihood is you will love Oxford and find plenty in common with people here. Do you accept applications from overseas students? Will I fit in as an international student? Keble welcomes applicants from all over the world. 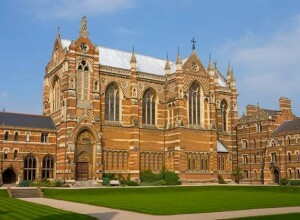 As a large college, with a sizeable graduate student population alongside the undergraduates, Keble is more international than most of the colleges. We have people studying and living in Keble from across the globe and whatever your nationality you are welcomed here.